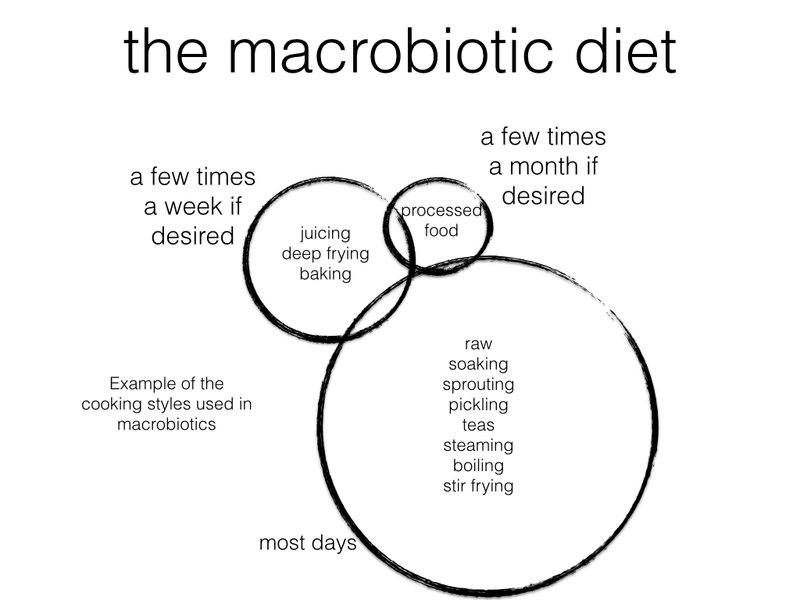 Macrobiotics has a history of more than 30 years of being used by people to help recover from cancer. 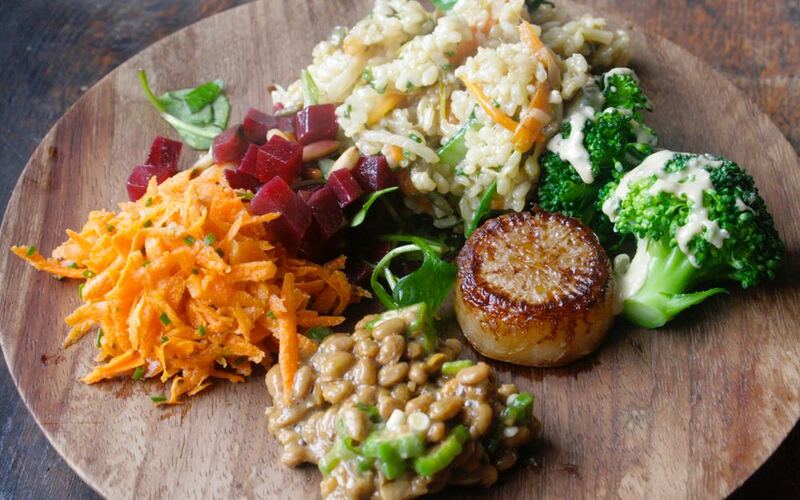 The macrobiotic cancer diet has been used by thousands of people. Dr. Satalaro was the first high profile Doctor to recover from a terminal cancer prognosis with a macrobiotic diet and described healing himself in his book Recalled By Life. I later co-wrote the book, Against All Odds with Dr. Hugh Faulkner, explaining his recovery from pancreatic cancer, though macrobiotics. Many people have claimed success in using a macrobiotic cancer diet to recover and it certainly meets common nutritional requirements for preventing cancer. 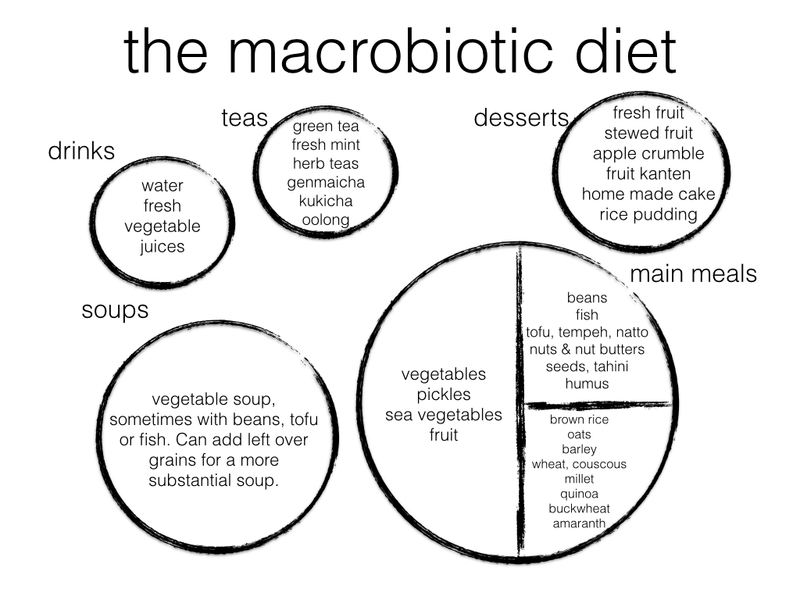 The basis is to eat an alkaline forming macrobiotic diet that is full of cancer curing nutrients. This means eating lots of vegetables and with whole grains, beans, notes, seeds, fruit, herbs and natural seasonings. 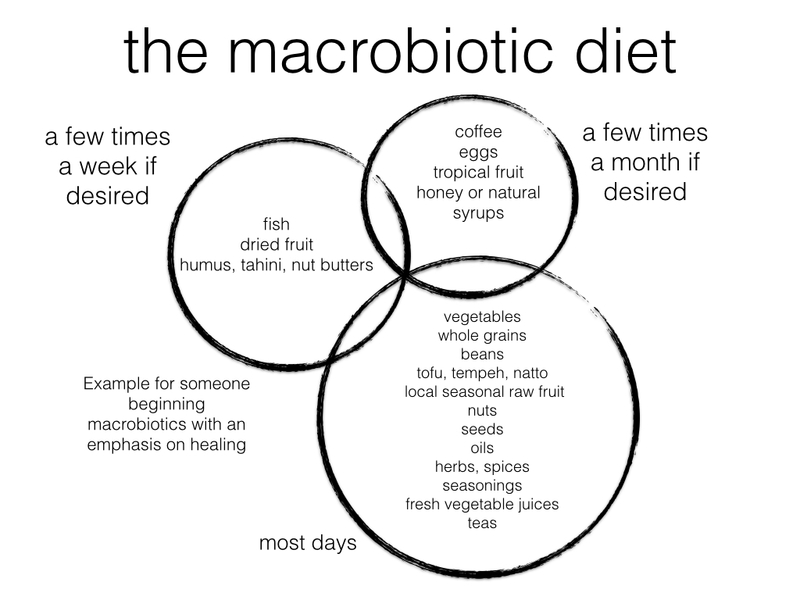 For healing we might spend a month or several months on a more simple version of the macrobiotic diet before broadening out to a more broader range of foods. In addition the macrobiotic ingredients it is helpful to use a range of cooking styles and emphasise those that best prepare macrobiotic cancer foods for healing. When we are faced with danger we go into our fight or flight mode where immediate survival is our prime concern. Our muscles, nervous system and blood become primed for quick action. Healing and our immune system are secondary and become suppressed. The body does not fully recognise the difference between self imposed stress, such as worrying about the future, and real danger, so when we feel stressed we are less able to heal. Meditating for a few minutes every hour, can help us relax so that we feel safe and secure, putting us into the ideal state for healing. Other options include walking in nature, enjoying a cup of tea, being the moment, yoga, tai chi, receiving any form of healing or being with loving people. Thinking positively can act as a placebo, aiding healing, whereas negative thoughts may contribute to a nocebo. An example of a nocebo would be that if we believe we are ill and going die, we increase the probability that will die, through that belief alone. We increase our ability to heal by simply believing that we can, and taking constructive action to create that healing. This could include more natural foods, meditation, healing and conventional medicine. In this sense we can empower ourselves to be our own healer and take control of that process. Try using positive language with yourself and others. For example, I am healing myself, I am eating more healthily, I am meditating every day, rather than talking or thinking of being ill, or that the remedies wont work. Healthy cells are thought to have an alkaline pH of between 7.2 and 7.5. Cancer cells in a tumor are claimed to have an acidic pH of about 6. One way to help prevent or recover from cancer is to become more alkaline. This can be done eating more vegetables and reducing stress, along with good sleep. A vegetable rich macrobiotic diet and regular meditation will result in our saliva and urine becoming more alkaline, providing a broad indicator that the whole body is becoming more alkaline. Our immune system is the main component for healing. To boost our immune system, research suggests having fermented foods daily, being alkaline, eating lots of phyto nutrients from natural plant based foods and teas, consuming vitamin C from foods like broccoli, peppers, greens, sauerkraut, strawberries and oranges, along with including green or black teas, mushrooms, garlic, oats, fish, sweet potatoes, beetroot, berries, green vegetables, herbs and ginger, to provide the ideal nutrients for our immune system. At the same time enjoying life and feeling positive creates a relaxed, secure internal environment where our immune system can be most effective. Modern cancer research explores how a tumor needs to create its own blood supply, to feed itself. In a fully grown adult there is limited need for new arteries or angiogenesis. Certain foods suppress the bodies ability to grow new arteries (anti-angiogenesis) and thus make it harder for the cancer cells to create a tumor with a blood supply. These foods include; green tea, berries, red grapes, apples, cherries, kale, bok choy, soya beans, maitake mushrooms, turmeric, pumpkin, tuna, parsley, garlic, tomato and olive oil. The intention is to create a diet that is alkaline forming, high in phyto nutrients, low in the GI, potassium rich, nutritious and full of variety. This suggests a plant based diet, about half being vegetables, with fermented foods. Some fish may also be helpful when appropriate. Foods that prevent cancer include; green teas, mushrooms, green vegetables, sweet potato, herbs, sea vegetables, berries, nuts, seeds, whole grains, beans, fruit, turmeric and garlic. Foods that have been linked to causing cancer include added sugar, meat, dairy, eggs, burnt foods, fried foods, excessive alcohol, foods high in pesticides / additives, processed foods containing trans fats / hydrogenated oil and excessive salt. Fresh air and exercise help oxygenate our blood and it is thought that when our blood is oxygen rich, our internal environment is less supportive to cancer cells. Daily exercise, whether walking, running, swimming, sports, yoga, martial arts or dancing, along with deep breathing will enrich our blood with oxygen. This may be more effective when supported by a healthy diet. Meditate for one minute every hour. Exercise and breathe deeply for 20 minutes, morning and afternoon. Try to include a walk in nature. Think and talk positively about your own healing. You are healing yourself. Drink 4cups of green tea daily. Eat fruit, nuts and seeds as snacks. Enjoy vegetable juices, salads, soups, stews and steamed vegetables daily. Have fish, tofu, humus or beans instead of meat, eggs and dairy foods. Learn to prepare meals with herbs and natural ingredients. Eat something fermented at lunch and dinner. Do something you really love everyday. 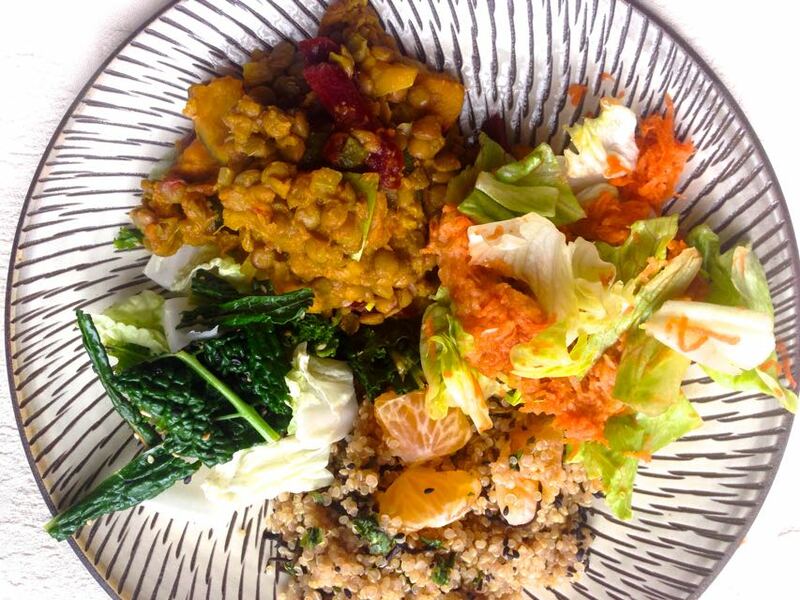 Book an online or in person macrobiotic consultation or a macrobiotic courses with Simon. You will benefit from ongoing help with lifestyle, food and healthy practices to improve a health condition. Call =44 (0) 7543663227 or email.